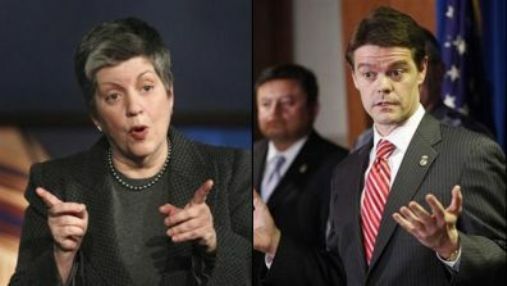 Barack Obama and Janet Napolitano just gave thousands of Syrian Muslims–all of them either sympathizers with Hezbollah or the Muslim Brotherhood–permission to stay in the United States forever. Yup, even illegal alien Syrian Muslims. He granted all of them TPS–Temporary Protected Status, so they cannot be deported or even arrested by Immigration and Customs Enforcement (ICE) for being here illegally. Behind the successful effort to get Obama to approve this absurd golden ticket to extremist Syrians to remain in our midst, is the pro-HAMAS/Hezbollah ADC (American Arab Anti-Discrimination Committee) and Dr. Yahya Basha. 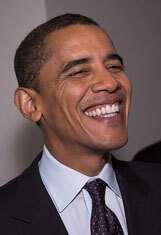 >Ghost of Bin Laden Has the Last Laugh: Obama’s Letting Thousands of Their Supporters Become U.S. Citizens . . .
Basha, a Syrian multi-millionaire immigrant and extremist Muslim, is a HAMASCAIR activist who previously headed the American Muslim Council, which was shut down for HAMAS fundraising, martyr funding, and because Basha’s hand-picked executive director was paying homicide bombers and plotting assassinations of the Saudi King on behalf of Qaddafi. Basha recently settled a lawsuit after firing a lawyer he hired because he discovered she was Jewish and married (two no-nos for women under Islam). Basha’s “Basha Diagnostics” business is a major advertiser in Detroit media and has influenced TV and radio stations to pander to Muslims if they want to continue to receive his dollars. He was cited by the FDA for his shoddy mammograms and faulty equipment. Yup, we need more Syrians in the mold of Yahya Basha in our midst. Oh, and he’s not even a Democrat. His offices are regularly used by the dhimmis in Michigan’s Oakland County Republican Party and will probably be Romney’s campaign headquarters for the November election for the county. Remember all the Haitian aliens in the U.S., to whom Barack Obama and Janet Napolitano granted TPS after the Haitian earthquake? Most of them are still here, many of them trying to get green cards and citizenship. And a good number of those are succeeding. Remember all the Libyan aliens to whom Obama and Napolitano gave TPS, last year? Well, guess what? They, too, are still here, trying to get green cards and citizenship. And a good number of them are succeeding, too. Muammar Qaddafi is long gone. And, yet, they are still here, despite the fact that we don’t really know much about them and their activities in Libya before they came here (and have no way of finding out). Many of them are extremists who sympathize with the Al-Qaeda Muslims who’ve since taken over Libya. Others were Qaddafi sympathizers, not much better. And, now, we must add to this the Syrian Shi’ite supporters of Assad and Hezbollah and the Syrian Sunni supporters of the Muslim Brotherhood, HAMAS, and Al-Qaeda in our midst. Yup, they get to stay here, likely forever. We simply never end up sending back anyone to whom we grant TPS, no matter how much of a national security risk they pose. And all of these Syrians are able to apply for asylum and remain in the U.S., per Obama policy, until they finish gaming the system–a process that can take years and even over a decade. The Syrians in our midst–many of them here illegally–will now be untouchable by ICE (which isn’t arresting illegal aliens, anyway) for at least 18 months on the books. But, as we know, in each case in which the U.S. has granted TPS for 18 months, the aliens got to stay forever. Look for that to happen with the Syrians. And to add insult to injury: these people, as with the Libyans and others who were granted TPS by Obama, will be able to work without restrictions in the U.S.–taking jobs from U.S. citizens. ‘Cuz, hey, they need to make money. And who cares about Americans who need to make money? Not Obama. That’s for sure. 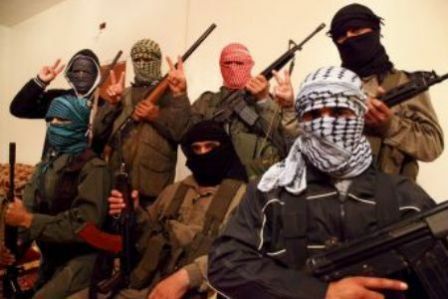 Just what we need: more Muslims who support Islamic terrorist groups and come from the country that proudly served as the host for all of those groups, as well as Nazi war criminals and Munich Olympic Massacre terrorists. And more of them taking jobs from out-of-work Americans. All hail the Arab Spring! 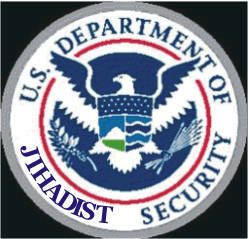 All hail it’s American headquarters: the Department of Homeland Security. im single I am 33 years old. i come back to syria. i want to work in USA how i can that ? I’m sorry that the writer is writing a lot of misleading and untruly over generalization statements.Which can be easily clarified if the writer visit TPS website. First, Many of not all Syrian in the States are on legal statues. Second, TPS is Temporally until next September( T stands for Temporally). Third, many Syrians who are in the States are Christian or from other minorities and Jihadist targeting them. Fourth, Mitt Romney in the last debate said that he will support the Jihadist in Syria (who came from outside of Syria ). Fifth, I can smell the racism in the writer speech everywhere in her article. I’m sorry to find people write with hatred in the land of freedom. I was born and raised in Damascus, Syria. My country suffered from extreme and organized genocides against civilians, that’s why I had to leave the country. I’m a med student, I drink, I go to parties, I speak proper english, and believe or not I didn’t ride camels to school, nor, did I get AK47s on Christmas or Eid. It’s called temporary protected status for a reason. your family was been temporary protected in USA long time ago from European war or Eu dark mid ages when people were killing each others. your root family immigrate to other people land ( USA) and want it for themselves only. always look to a mirror when you write something.